It’s an amazing fact that life persists in water, land, and air in various forms. They differ in size, speed, and have peculiar features as well. Following is a description of the fastest animals in water, enlisted in accordance with their relative speed in water. Have you ever thought of animals living inside the water? The fastest Cheetah in the land do have any potential competent in the ocean? Pilot Whales belong to the family of Globicephala. 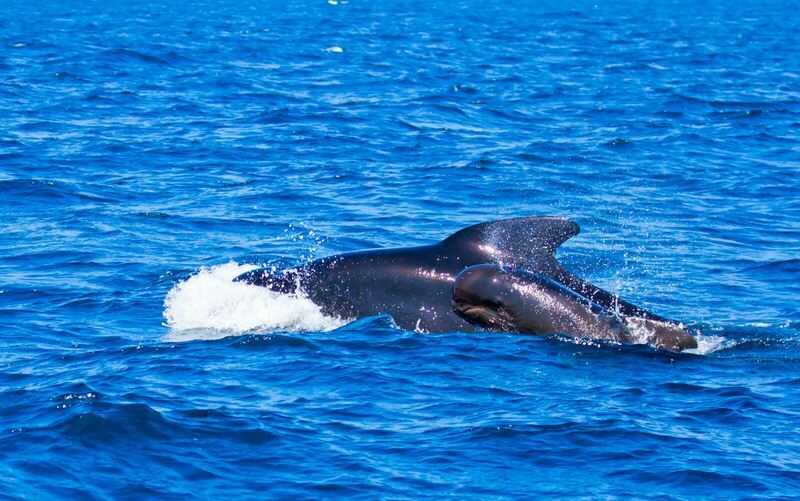 They are of two broad categories such as long-finned pilot whales and the short-finned pilot whales. They are social whales living together with the birth pods until the end of life. These whales have similarities with killer whales and are related to dolphins. The number of teeth in this species is comparatively less than dolphins. This is the feature of adaptation of them to feed niche. They consume cuttlefish, small sized fishes, octopus, and squids. Pilot Whales seems to have a speed of 20 miles per hour, and they perform raise in speed when their pray is in greater depths. They are capable of moving and catching prey beneath 3200 feet from the water surface. This capability of them to dive more in depth to the denser medium is considerably astonishing. As per the observations from researchers of Laguna University, about 23 kinds of short-finned piolet whales exist below the surface and they are closer to cheetahs in their nature. In the deepest parts of the water, researchers recorded up to 28.8 feet per second speed. They remain amazing whale species and occupies a place in the list of fastest animals in water. The Barracuda is a large fish with violent behavior and a terrific look. This is a type of Sphyraena family. This fish lives in the tropical and subtropical regions of the ocean. They live in the top parts of water in the regions with coral reefs and grasses. 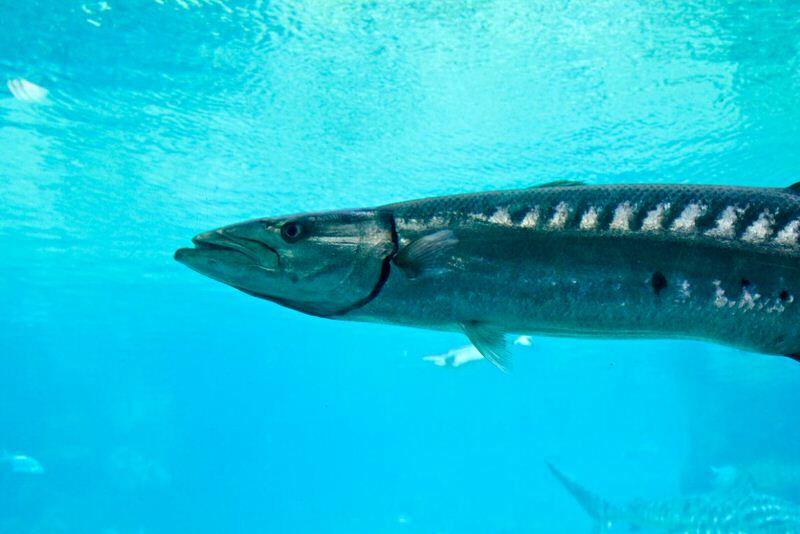 The Barracuda is known by other names such as the King Fish or Wahoo. They hold a capacity of swimming at a speed of 27 miles per hour. These fish is a challenge for the people who involve in fishing. The tropical region diving persons always get warnings about the presence of these cruel fishes. 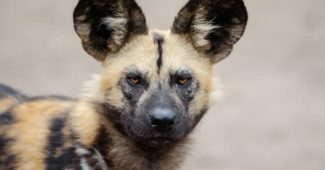 Whenever they feel threatened, they became violent and attacks human beings, even though they don’t have an aim to prey humans. These faster species of fish are consuming squid and pelagic species. The wild fish is about 66 inches in length and its weight varies depending on the coldness of water they live. The Barracuda in Atlantic, Pacific and Mediterranean regions are comparatively reported heavier. The Barracuda live up to six years in favorable conditions. They are famous for food and also as a game fish. These fast species are hence well known for their speed and ranked number three in the fastest animals in water. The Killer Whale is known as Orca (scientific name: Orcinus orca) is a toothed whale category in the family of oceanic dolphins. It is the largest member of that group. They used to consume marine animals like seals, dolphins, and fishes in their specialized way. The Killer Whale is in the top of the food chain with no threat for life from other animals. They are mostly residing in all types of submarine conditions like in the Arctic, Antarctic and tropical regions except Baltic and Black seas. 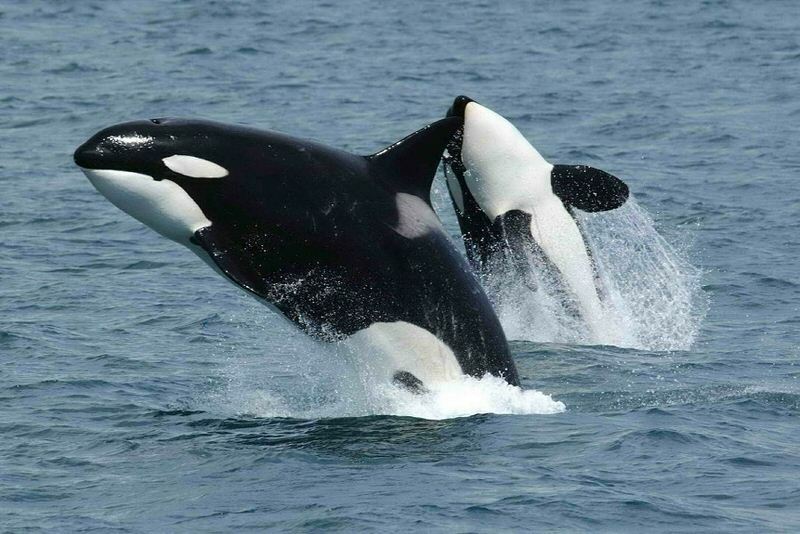 The orcas have black colored body mixed with white color in the chest and side parts of the body. The male killer whales can weigh around 6.5 tons and the length is of 6 to 8 meters. Comparatively smaller females have a length of 5 to 7 meter and weight around 3.3 to 4.4 tons. These mammals have a lifespan of nearly 80 years if they are healthy enough. According to various reports, they can reach up to 34 mph (55 km/h), which can vary depending on the prey and conditions. Even though they are not man-killers, there are several reports from marine theme parks, where their handlers got injured. International Union for Conservation of Nature has identified a number of causes threatening the Killer Whales life including; pollution, low salmon population, increased boat traffic and high underground noises. With a top speed of 34 miles per hour, they reserve a place in the top ten fastest animals in water. Bonitos are medium size fish in the Scombridae family, which includes other members like butterfly kingfish, mackerel, and tuna. They are also called sardine. This species seemed to have a speed of leaping at 40 miles per hour. Interestingly they can swim for more period of time at around 30 miles per hour. 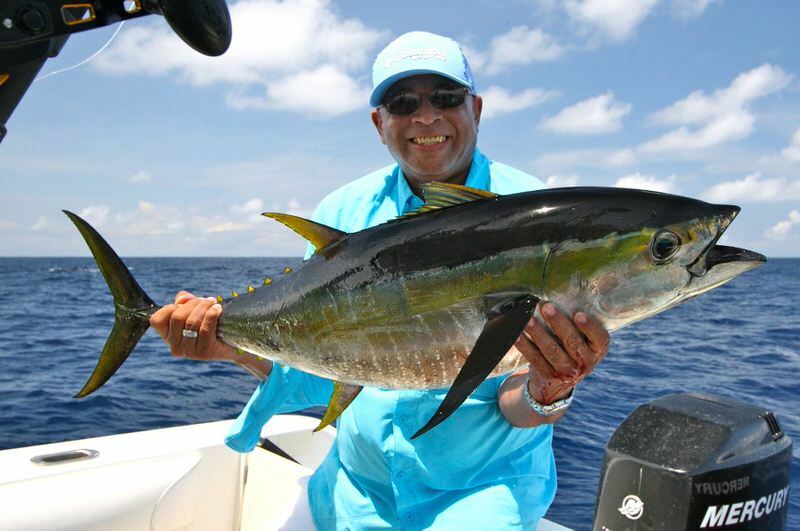 The Bonitos are truly scoring in terms of speed whereas the speed of migration of many other small fish species lags behind. The fast- twitch muscles of Bonitos helps in bursting speed and the slow twitch muscles ensure better endurance. These are unique features of this fastest fish in water. The Bonitos are found in Pacific, Atlantic, Black Sea and the Mediterranean Sea. Initially, the Bonitos measured about 1/8 of an inch. With a large amount of food only they can put on weight in the oceans. The resources are abundantly available near to the equator and this is the reason why in the Atlantic Ocean the bonitos are spread near the equator. Among the types of Bonitos, the one which belongs to the Pacific Ocean are known as Skipjack Tuna. The flesh has a firm texture and blackish color usually. Bonito is used as food fish, which is eaten in a number of ways. Bonitos are enlisted in the top ten fastest animals in water considering their unique speed measures. Bonefish belongs to the taxonomy of Osteichthyes. The fish has a large number of fine bones and hence came the name. It is the fastest fish in the shallow bottom water all over the world. The bonefish weighs around 8.6 grams and its usual length is 90 cm. The bonefish has color shades of silver and black usually. They live within the inshore of tropical regions and shallow mud flat region of water. They hold an air bladder which helps them breathe during their swimming. The lifespan of these bonefishes is around 19 years. They are a usual food of sharks and barracudas fish. To escape from predators the fish requires more speed. The fish has recorded a speed of 40 miles per hour. Another one feature of these fastest species is that they gather in small groups and always keeps a distance from the nearer fishes. 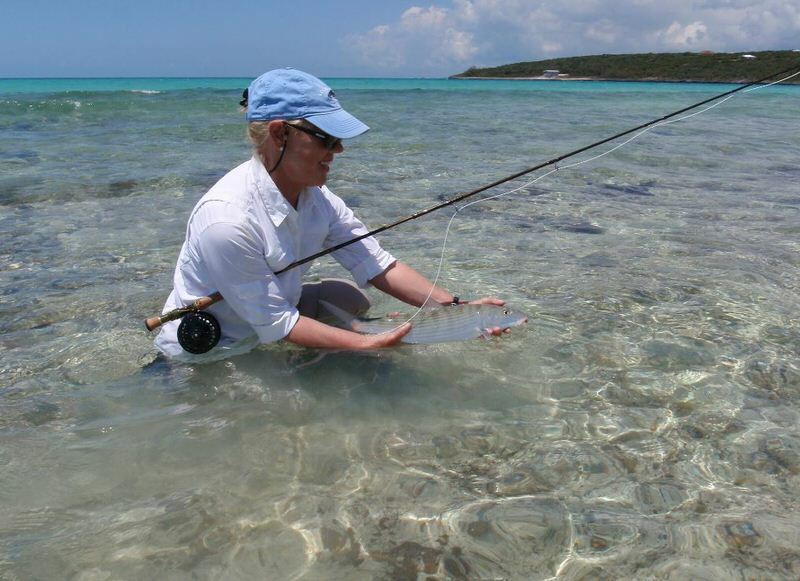 The bonefish is also known in different names as banana fish, banana, and ladyfish. Bonefishing is a famous sports event. Also, this fastest fish is used as an edible item in many forms. Bonefish is known for their higher speed and unique features, which makes it listed within the top ten fastest animals in water. Flying fish belongs to a family of Exocoetidaes types. They live in every ocean especially in warm tropical and subtropical regions. They live in the sunlight zone of the sea, which is in a depth of about 200m, with more visible light. The primary production happens in this zone and thus a number of plants and living organisms live in this range. The small organisms like flying fish are targets of large ones. The fish, in fact, earned this name as per the elusive nature from predators. They are able to swim at a speed of 43 miles per hour and a top score of gliding time as thirty seconds. 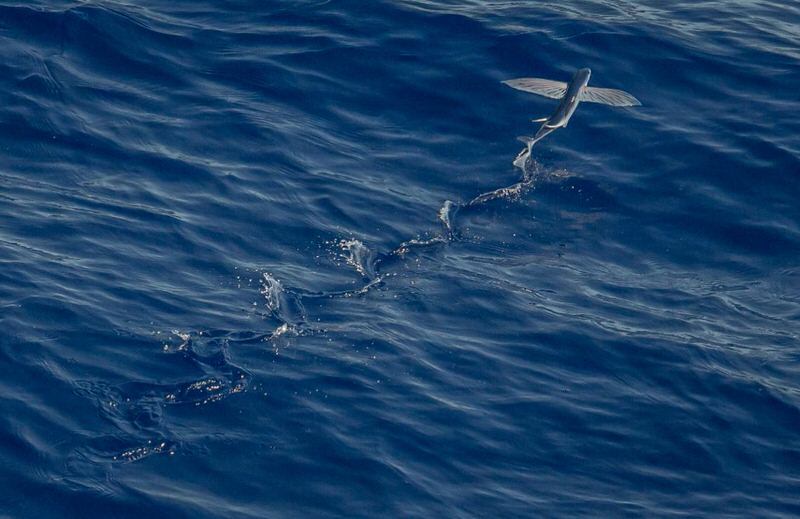 The flying fish are hence capable of moving from 200 meters from its predators. This is an endangered species in water. They used to hunt at night times. Generally, these fishes mate during autumn or spring seasons. The lifespan of the fish seems to be around five years. These categories have undergone a number of morphological changes including wide neural arches, connective tissues, and specially organized ligaments. These entire features help them to move with maximum speed and thus be one among the top ten fastest animals in water. Yellowfin Tuna belongs to the same family of Bonito, and larger tuna species living in north and south hemispheres. They are living on the surface of the water and can weigh around 400 pounds within eight years. It has a speed of 46 miles per hour most of the time. The biological design of this tuna enables them to capture this speed. The pectoral fins and special grooves help them to move along the current. These features make them swim faster. They eat all the available items in their range and it acts as a reason for their fast weight putting nature. They consume other fish, squids and other organisms on the surface. The more weight gaining feature of these tuna makes them a target of fishermen and companies. The Yellowfin avoids the closed sort of environments such as Mediterranean and Black Seas. They often practice moving with other tuna species. This is also an endangered specious because continuous hunting prevents them from enough spreading and populating. The observed high speed and the various features still hold this tuna in the list of fastest animals in water. The Mako Shark known in different names such as blue pointer, bonito shark or shortfin mako shark, is a bigger mackerel shark. They are the fastest among all shark varieties. The growth rate of these animals is comparatively higher and an adult shark and will have an average length of 3.2 meters and weight up to 135 kg. The longest verified length of this species is about 4.45 meter. They live in the tropical sea all over the world. 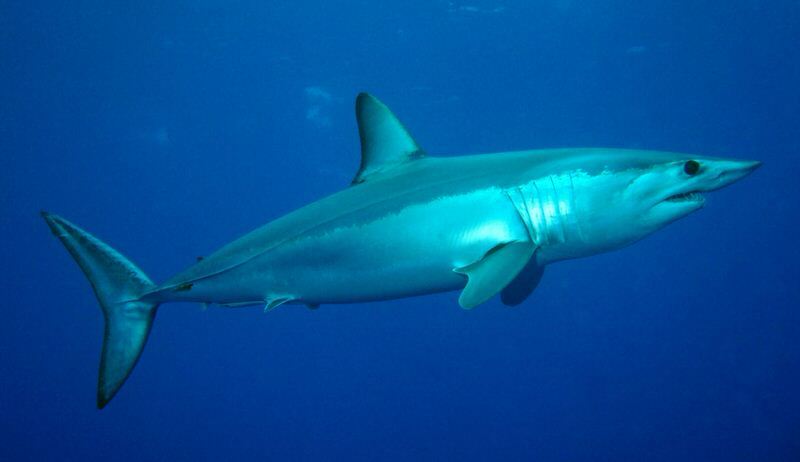 Mako Sharks consume tunas, swordfish, bonitos, turtles, other sharks and seabirds as well. This fastest variety of shark is capable of bursting into a speed up to 46 miles per hour, and 40 mph is the verified speed of them. International shark attack file has noted a number of incidents of these sharks attacking human beings and boats, and the injuries sometimes caused death. They never reported to prey humans, rather their speed, power, and size are capable of attacking and killing human beings. International Union for the conservation of nature has listed them in the vulnerable shark’s list since the fishing industry always keeps an eye on them. This king of the shark world, unbeatable by size and power hence comes in the fifth position of fastest animals in water. Swordfish are famous sports fish of billfish type, belonging to the Xiphiidae family. They are also called broadbills. One important characteristic of these species is the long fat bill. They are usually round bodied lengthy structures, and they will lose their teeth and scales in adulthood. Broadbills are found in the Atlantic, Indian Ocean, and Pacific regions at a depth of 550 meters from the water surface. The fish reported the highest length and weight measures as 4.55 m and 650 kg respectively. Apart from sports, they are hunted for expensive food as in many western nations. They have recorded leaping speed of around 60 miles per hour and swimming steadily along with 60mph. In cold climates, they tend to move towards warmer climate regions. They can dive towards the prey up to about 2000 feet in depth. Their sword-like bill is helping them to achieve speed and also to pierce prey often. The food chain system shows that these Swordfishes are often preyed by large tuna, Orcas, and sharks as well. These powerful and fighter fishes are capable to swim at enormous speed and a small number of cases are reported where these species attacked human beings. They reserve second top position in the list of fastest animals in water. The Marlin fish belongs to the Istiophoridae family with a lengthy body, a bill and long fins extending from the crust. The name came from the resemblance of fish with sailor’s marlinspike. They are the fastest swimmers existing in water, with a super speed of 68 miles per hour. 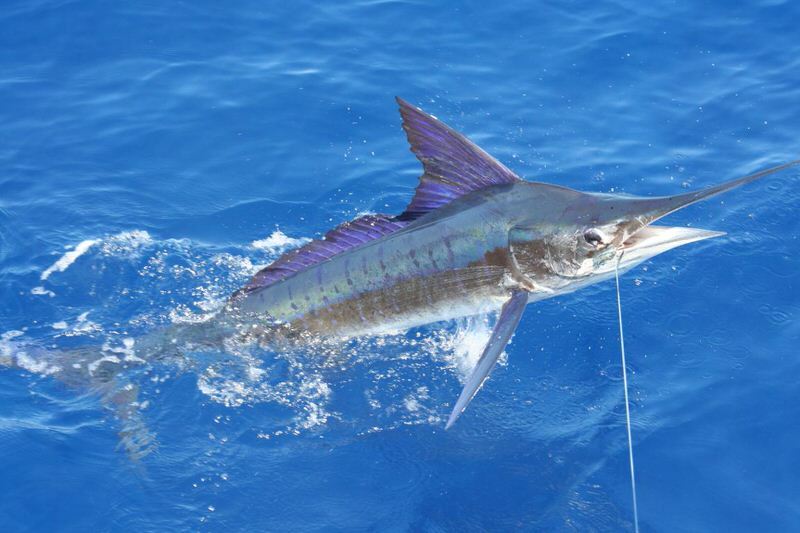 The Marlin fish is a famous sports fishing type in tropical regions. They have a length of 7 meters and up to 60 pounds of weight. The Atlantic blue marlin, Makaira Nigerians, black marlin and Istiompax indica are some larger species of the same category. They use their lengthy bill to spear the prey. The sailfish, a species of Marlin reports an average speed of 68 miles per hour which makes them the number one fastest animals in the water world. They prefer top levels of the water and sometimes swim far for the prey. This fish type performs certain sort of migration from cooler tropical regions to warmer places. The Marlins closely correlates with swordfish and Scombridae types. The warrior of speed in water space holds its crown and continues the voyage. The scientific world is striving to get more interesting facts regarding this fastest animal in water.